Late last year, we were finally able to launch our new Rag Rug Spring Tool... a tool which made shaggy rag rugging quicker and easier than ever before. 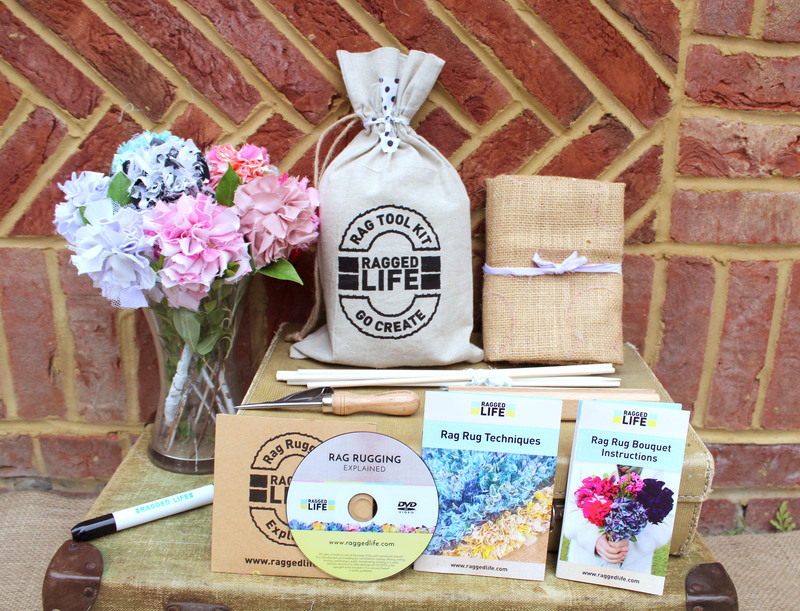 Well, that left us in a bit of a pickle as most of our Ragged Life rag rug kits didn’t actually have the spring tool in and our tutorial DVD that went into the kits didn’t have a video explaining how to use the new tool… oops! 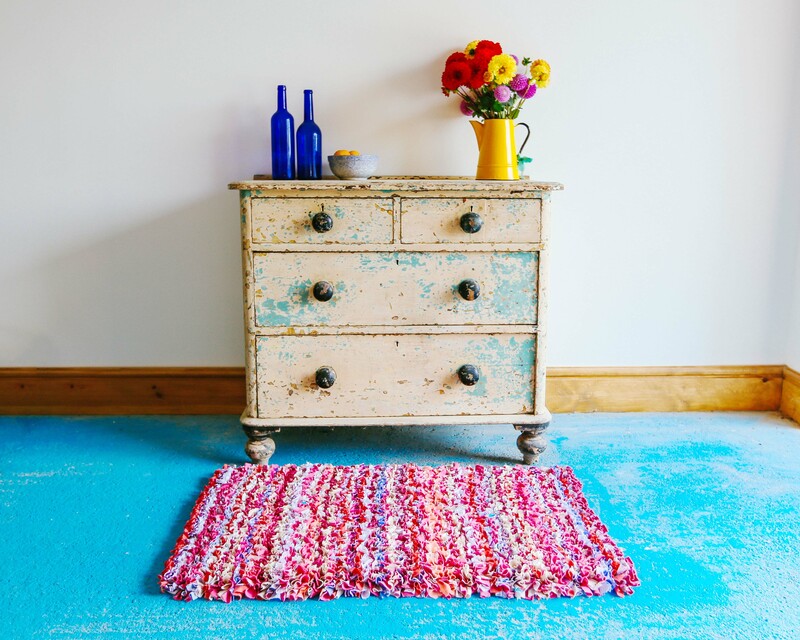 Our Class Rag Rug Kits make a 100 x 60cm loopy or shaggy rag rug like this one here. Our Introductory Rag Rug Kit is great for rag rug beginners who want to try their hand at both the loopy and shaggy techniques of rag rugging without investing in more expensive tools. 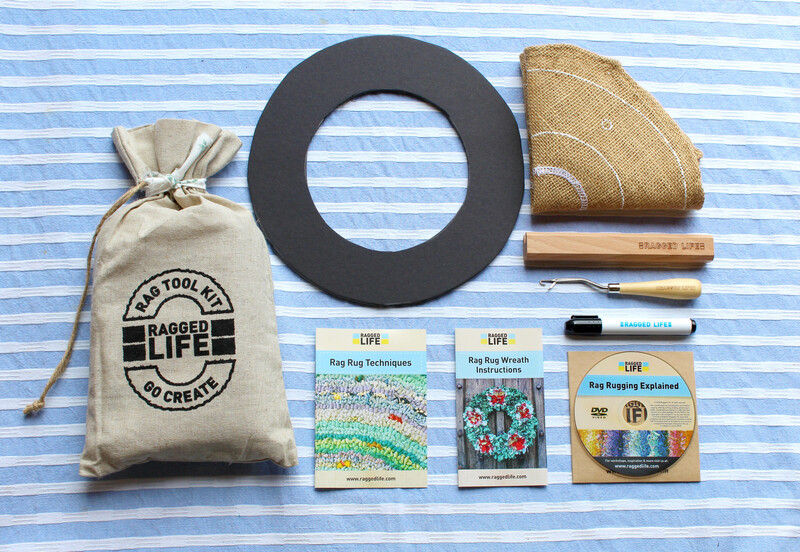 This kit will allow you to get a flavour for how to make a rag rug, so you can decide whether you want to throw yourself into the craft. 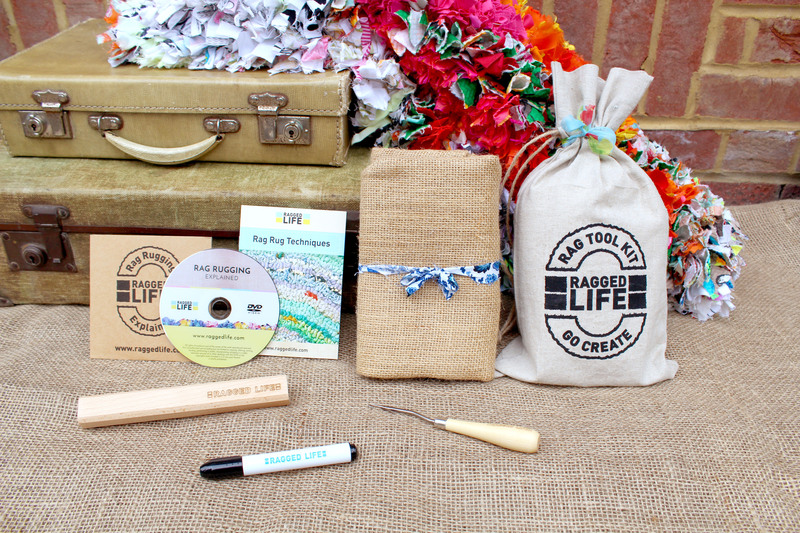 The Ragged Life introductory kit includes all the basic tools to start rag rugging for the first time. – Latch Hook – the most basic rag rug tool that can be used for both the loopy and shaggy rag rug techniques (in fact, it’s what I learnt with). View videos on how the latch hook is used for loopy rag rugging here and shaggy rag rugging here. – 100 x 60cm Hemmed Rug Hessian – our hessian is the perfect weave for rag rugging and is entirely pre-hemmed and prepared so you can start rag rugging straight away. This size of hessian is ideal for bedside and bathroom rugs. – Rag Rug Gauge – this is a time- and effort-saving tool to make cutting up your fabric pieces for shaggy rag rugging that little bit easier. Our wooden gauge cuts fabric pieces to approximately 7.5cm (which is the perfect length for rugs, cushions, wreaths and more) and has a wide, deep groove to prevent your fabric scissors getting blunted. See how to use the gauge here. – Marker Pen – for sketching any designs onto your hessian. – Instructional DVD – this includes videos introducing the equipment, advice on fabric usage, tips on creating strips for rag rugging and ‘how to’ videos for both rag rugging techniques using both the latch hook and spring tool. – Latch Hook Techniques Booklet – includes step-by-step instructions and photos of how to do both the loopy and shaggy rag rug techniques using a latch hook. 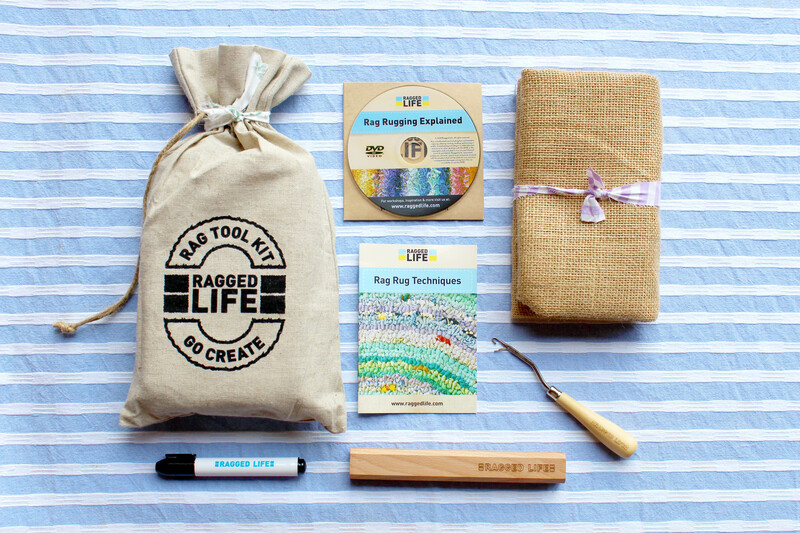 Here you can see the tools and instructions included in a Ragged Life Introductory Rag Rug Kit. Kit Price: £18.99 Buy it here. 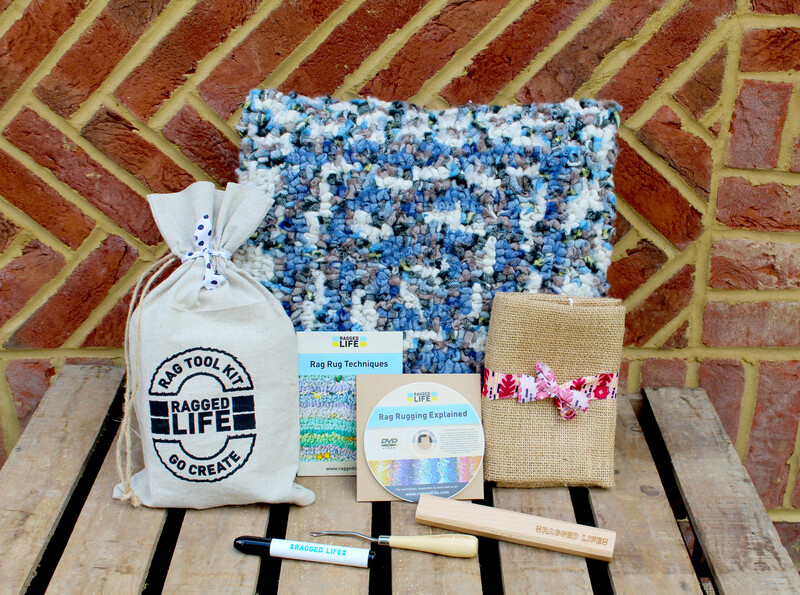 Our Easy Peasy Rag Rug Kit is one of our most popular rag rug kits. 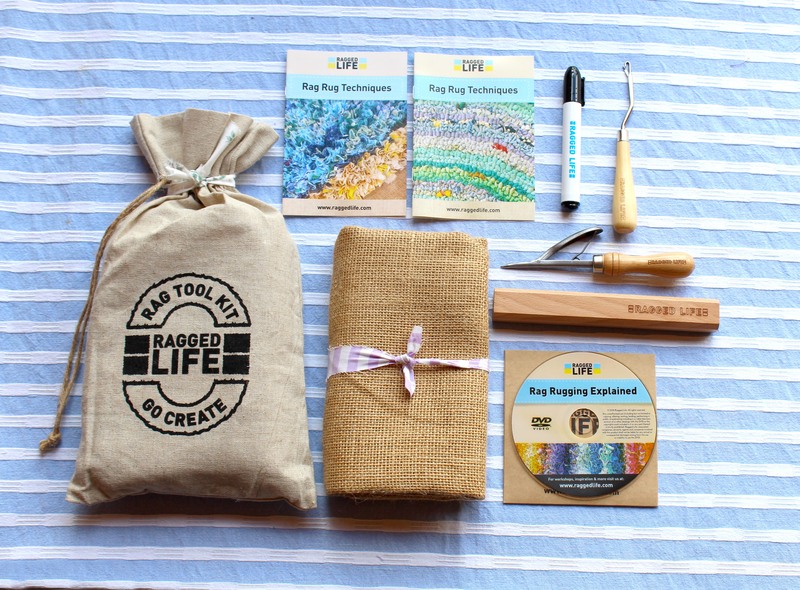 It includes all the great basic tools included in our Introductory Rag Rug Kit, as well as a Ragged Life Rag Rug Spring Tool, which makes shaggy rag rugging easier than ever before. If you’re looking for the quickest and easiest tools to make a shaggy rag rug then this kit is the one for you. 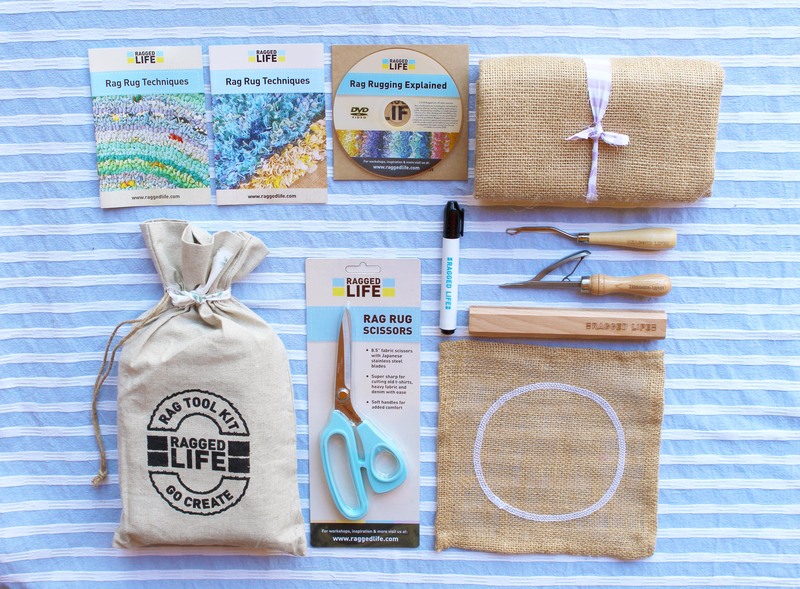 The Easy Peasy Rag Rug Kit includes the amazing rag rug spring tool which makes shaggy rag rugging easier than ever before. – Rag Rug Spring Tool – this is the quickest and easiest tool to make shaggy rag rugs. Read more about why we love the Spring Tool here or see it in action here. – Spring Tool Techniques Booklet – our Easy Peasy Rag Rug kit includes an additional techniques booklet with step-by-step instructions and photos on how to use the rag rug spring tool to do the shaggy technique of rag rugging. Kit Price: £33.99 Buy it here. 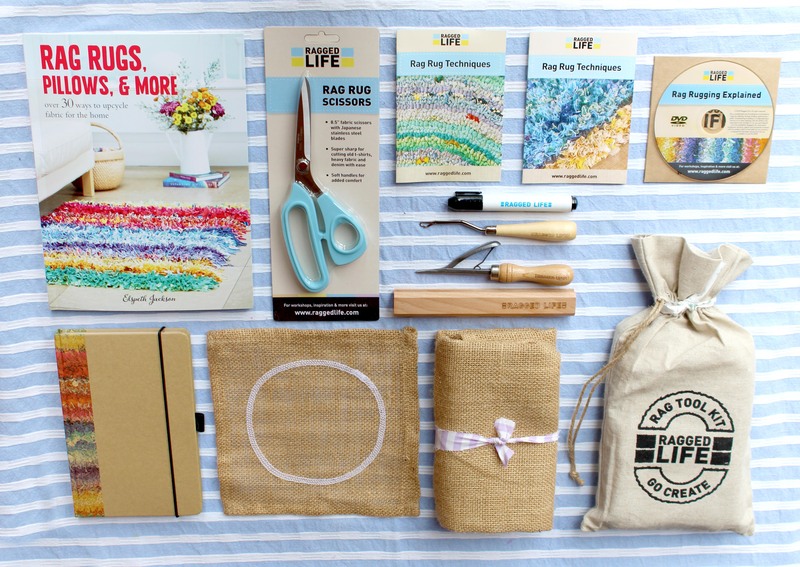 Our Deluxe Rag Rug Kit includes all the same great tools as the Easy Peasy Rag Rug Kit, as well as a pair of super sharp Rag Rug Scissors, which make the fabric prep part of rag rugging far easier than any other tool. 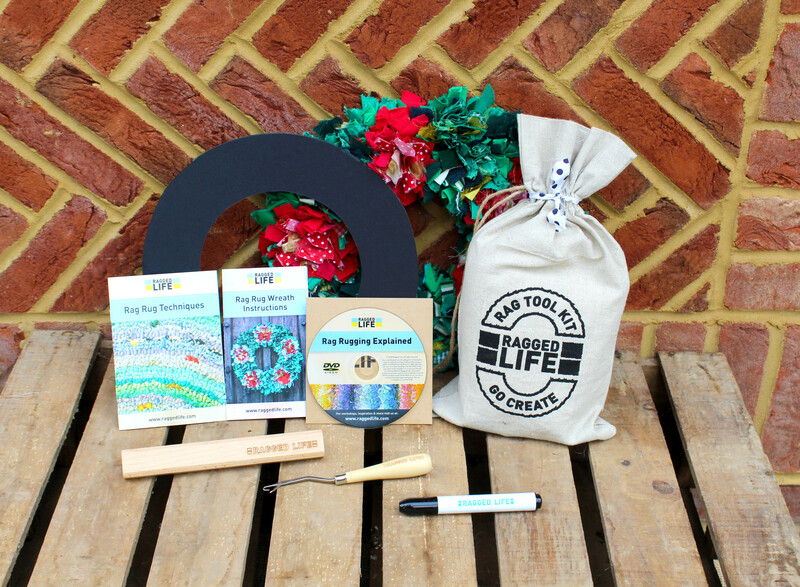 This kit is perfect for those who want the absolute best tools to rag rug with and even includes a free piece of practice hessian. 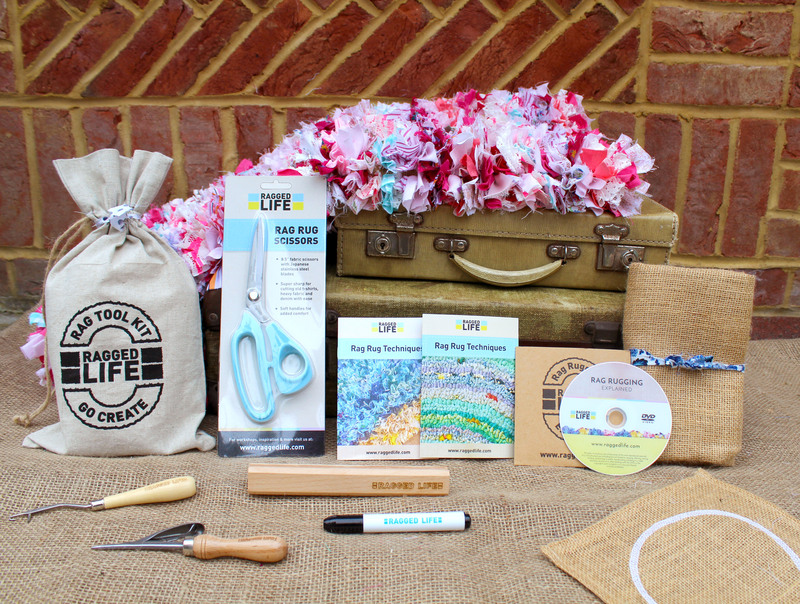 The Ragged Life Deluxe Kit comes with our super sharp rag rug scissors and a free piece of practice hessian (front right). – Rag Rug Scissors – rag rugging involves a lot of cutting of fabric, which is why it’s important to have the best scissors for the job. Our rag rug scissors are specifically designed to work with a whole spectrum of different fabrics – from jersey, cotton and lycra, right up to blanket yarn, fleece and denim. They are also made to cut through lots of layers of fabric at the same time to reduce on fabric prep time. 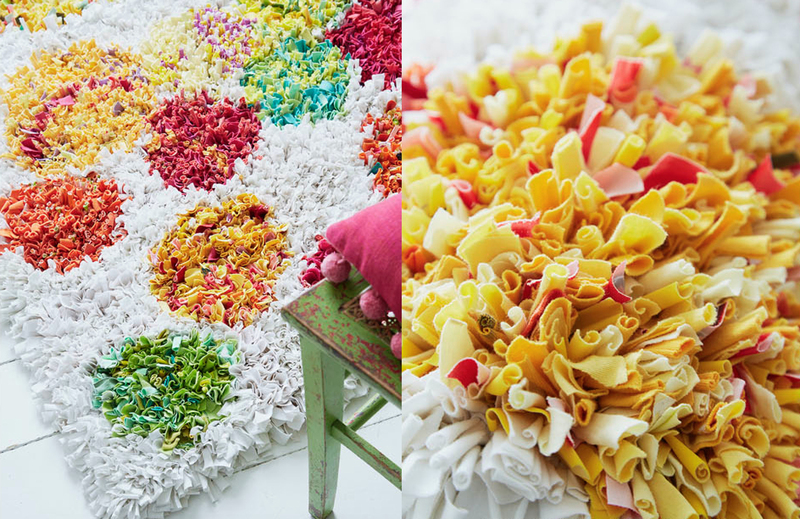 See how we use our rag rug scissors here. 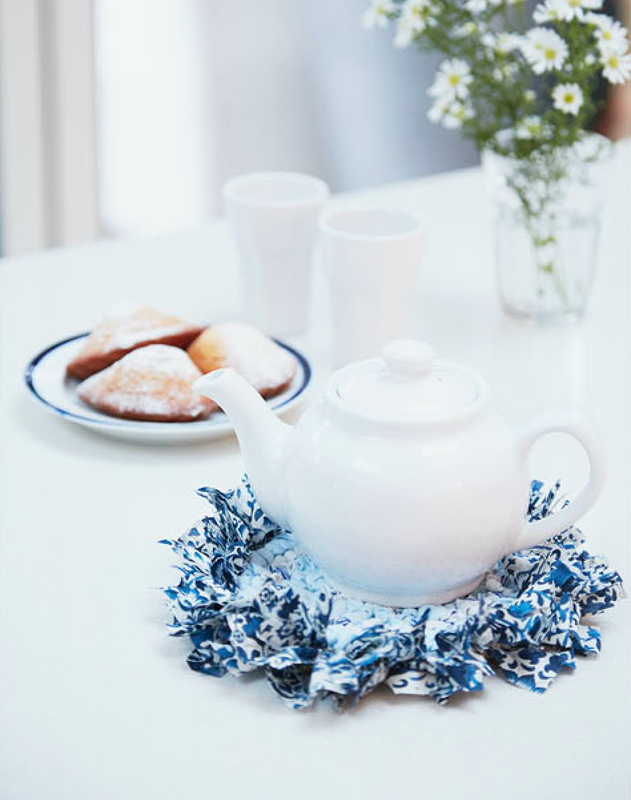 You can make a rag rug trivet to practice the two techniques if you’d like. Kit Price: £44.99 Buy it here. 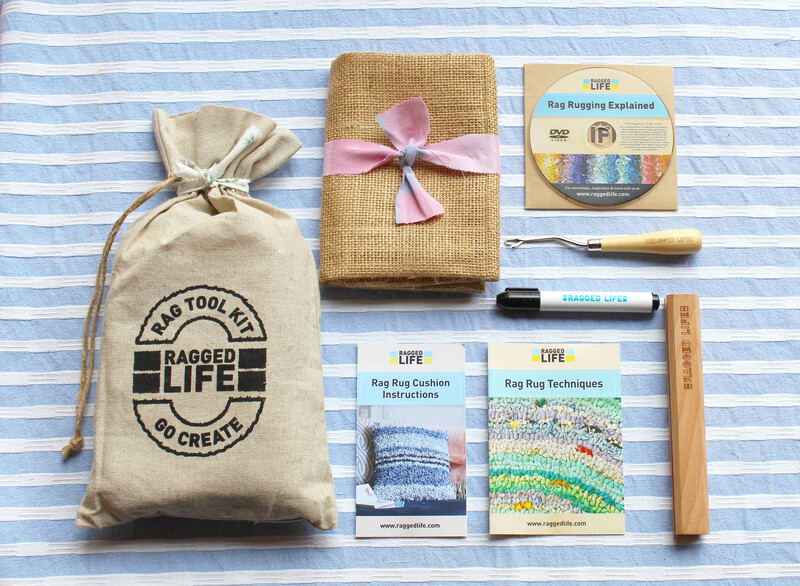 The clue’s in the name, but The Ultimate Rag Rug Kit includes everything you could possibly need when you first start out rag rugging, including a signed copy of my book “Rag Rugs, Pillows & More” with over thirty rag rug projects, so you’ll never be short on gorgeous rag rug inspiration. 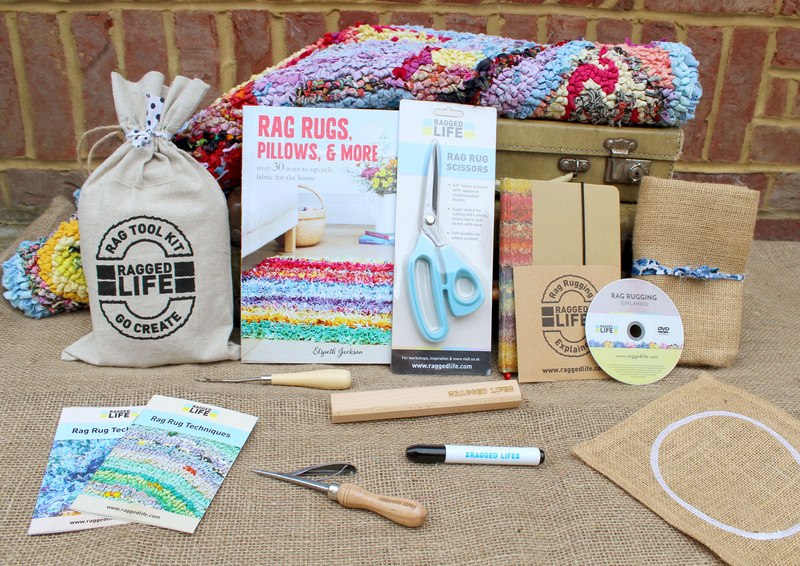 The Ragged Life Ultimate Rag Rug Kit includes a signed copy of “Rag Rugs, Pillows & More”, as well as a free crafty notebook. – FREE Rag Rug Notebook – a great crafty notebook with plain and striped pages for you to brainstorm all your crafty creations. Kit Price: £54.99 Buy it here. If you’d like to try out rag rugging, but don’t feel like making a rug straight off the bat then maybe one of the below kits are right for you. 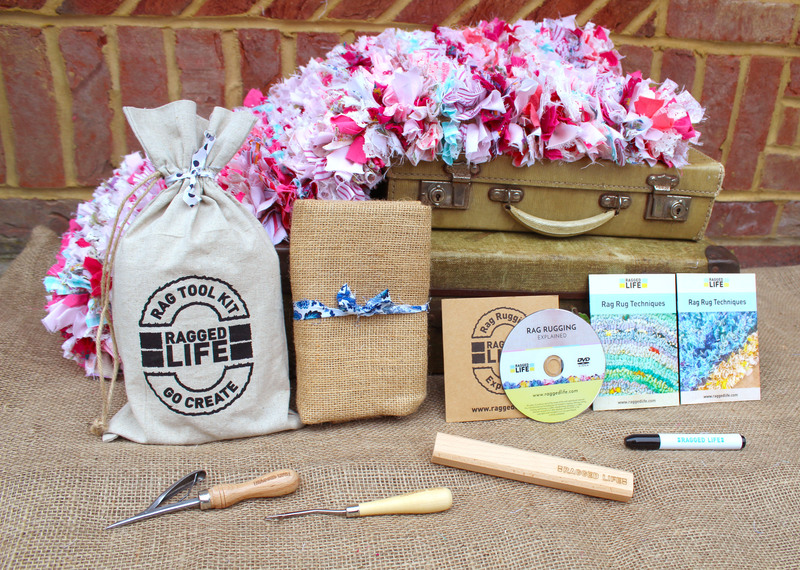 All the below kits can be customised at checkout to add other tools, including additional hessian, rag rug spring tools, rag rug scissors and copies of “Rag Rugs, Pillows & More”. 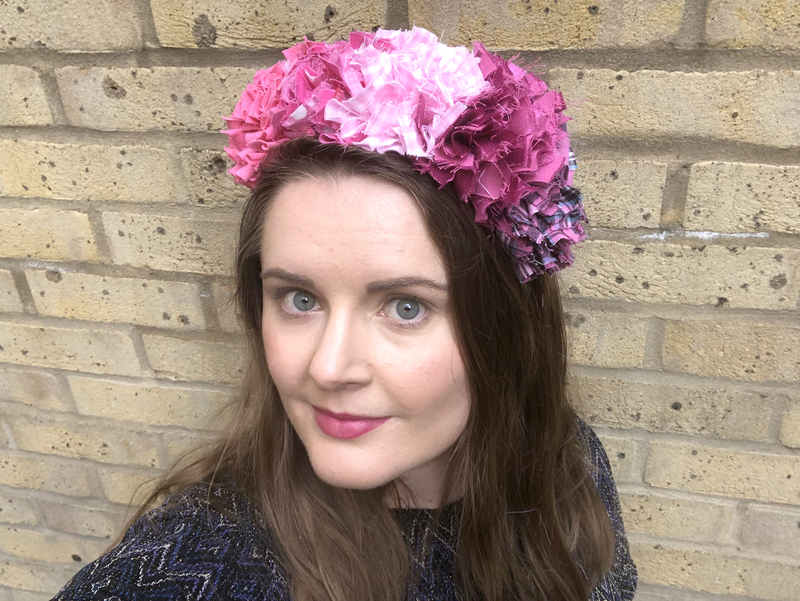 Our 2019 rag rug project of choice is rag rug headbands. They’re quick and easy to make, but best of all they just put a smile on your face. This introductory kit makes three headbands, so is great for getting creative with family or friends. 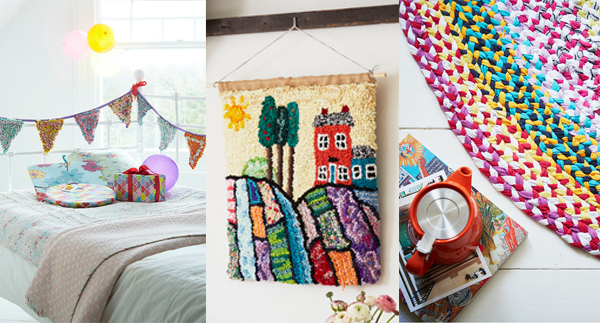 As with all our rag rug kits, no rag rug experience is necessary. Contents: Rag Rug Spring Tool, Hemmed Headband Hessian (to make 3 headbands), 3 Headbands, Rag Rug Gauge, Instructional DVD, Spring Tool Techniques Booklet, Headband Assembly Booklet & Kit Bag. Kit Price: £29.99 Pre-order it here. Contents: Latch Hook, Hemmed Cushion Hessian (to make a 40 x 40cm cushion), Rag Rug Gauge, Marker Pen, Instructional DVD, Latch Hook Techniques Booklet, Cushion Assembly Booklet & Kit Bag. Anyone who would like to make a gorgeous bouquet of rag rug flowers. This is a fun beginners’ project, which doesn’t take much time at all. It’s a great first project to experiment with different fabrics whilst learning the basic shaggy rag rug technique. 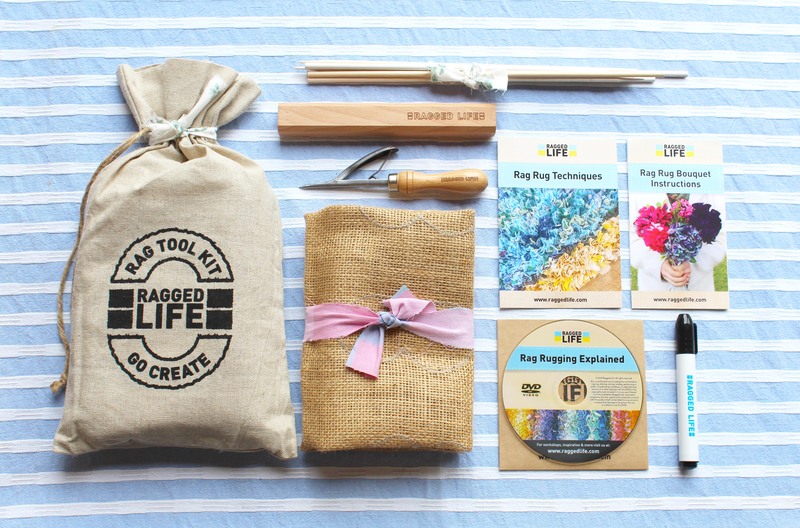 The Ragged Life Rag Rug Bouquet Kit includes all the tools and instructions to make a bouquet of 7 rag rug flowers. Contents: Rag Rug Spring Tool, Hemmed Bouquet Hessian (to make 7 rag rug flowers), Wooden Flower stems (for 7 rag rug flowers), Rag Rug Gauge, Marker Pen, Instructional DVD, Spring Tool Techniques Booklet, Bouquet Assembly Booklet & Kit Bag. Kit Price: £27.99 Buy it here. A rag rug wreath is a great seasonal rag rug project to make in the run up to Christmas or in the spring time, however, it’s also a great first project to experiment with the two basic techniques of rag rugging. Contents: Latch Hook, Hemmed Wreath Hessian, Wreath Mount, Rag Rug Gauge, Marker Pen, Instructional DVD, Latch Hook Techniques Booklet, Wreath Assembly Booklet & Kit Bag. Kit Price: £23.99 Buy it here. What is the difference between shaggy and loopy rag rugging? Shaggy rag rugging is a more textured, traditional form of rag rugging. Loopy rag rugging gives a flatter, more uniform appearance. 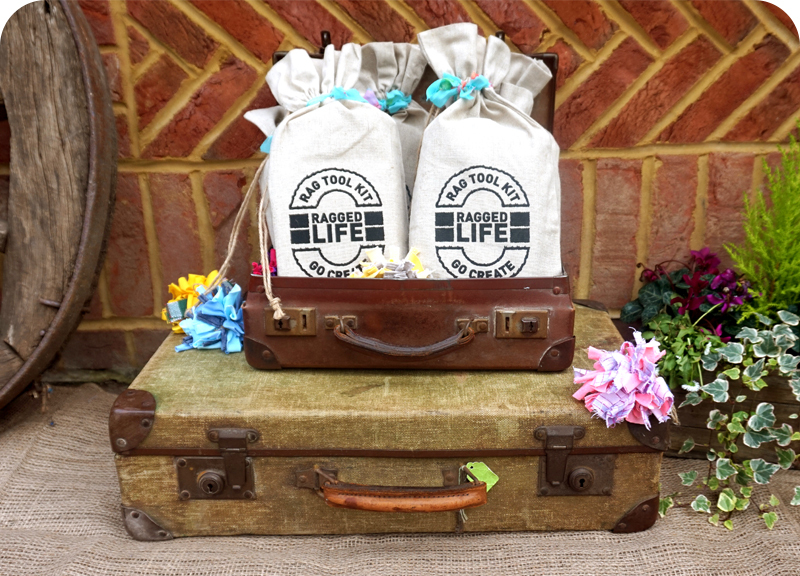 Is there fabric in the Ragged Life Rag Rug Kits? Can I customise any of the rag rug kits? What if I already have the tools but want to do a particular project? What if I want a custom kit for a particular project? 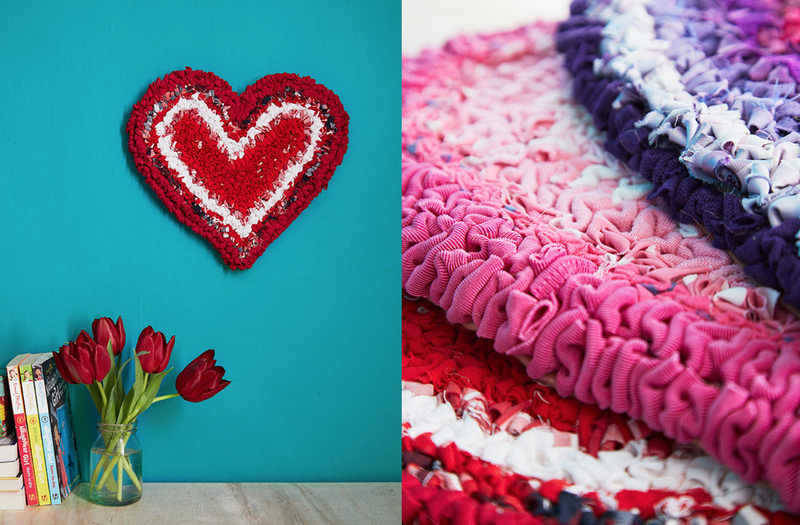 If you would like a rag rug kit for a specific project (for example, rag rug letters) or with a custom-sized piece of hemmed hessian, please get in contact with us on elspeth@raggedlife.com for a price. 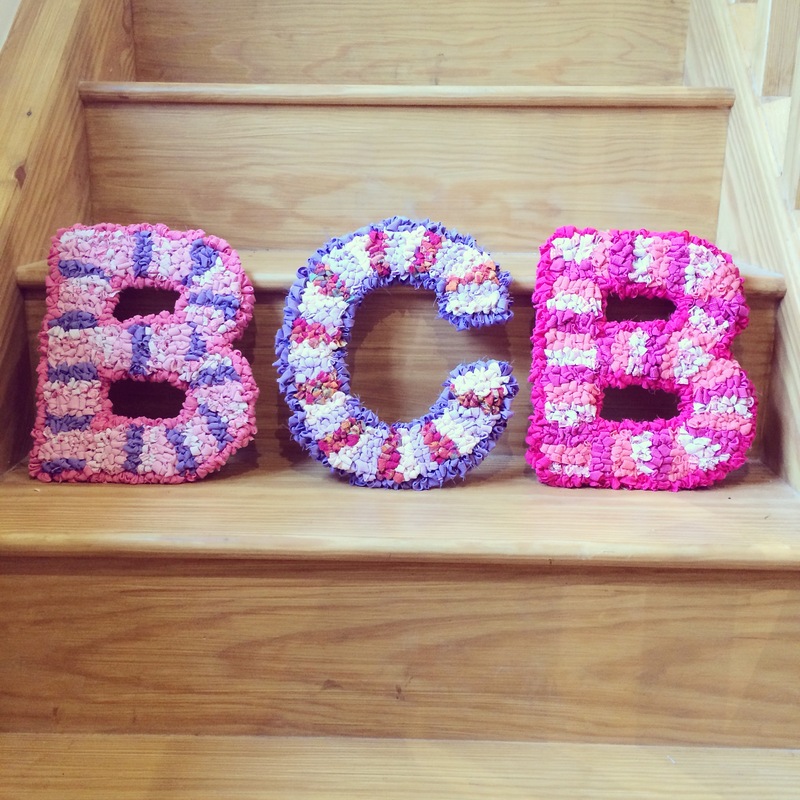 Get in touch for a quote for a custom-made rag rug letter kit or other projects. This entry was posted in Rag Rug Kits, Rag Rug Supplies and tagged 2018, Planning a Rag Rug, Rag Rug FAQs, Rag Rug Tools. Bookmark the permalink.